What kind of Email account do I have? Email accounts can sometimes be very confusing, IMAP, Exchange, SMTP, POP3, I mean I thought we were talking about email, not what we're drinking. In this brief post I'm going to break down the different kinds of email accounts, how they affect you, and how to tell what kind you have. The first kind of email we're going to talk about is POP3 (Post Office Protocol version 3). 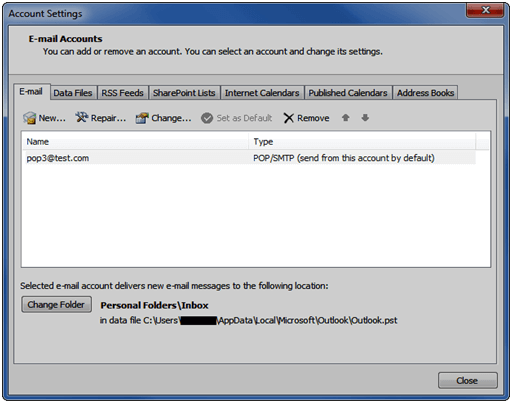 Put it simply a pop account goes out to the mail server and brings the mail back to you. Sometimes copies of the mail can be left on the server and sometimes they are moved down as to leave nothing on the server. Either can be achieved by simple check box settings. If POP retrieves your email then how do you send it? That is where SMTP (Simple Mail Transfer Protocol) comes in. It is outgoing mail only. If you are a home user reading this then you need to know something very important. Most internet providers block the standard port (25) for SMTP. Your mail provider should give you an alternative port number so you can send your email. IMAP (Internet Message Access Protocol) is the next kind of account we will discuss. Unlike pop retrieval this kind of account never moves the email. It simply accesses it on the server. Now the advantage of this is if you have more than one device (i.e. a phone and a laptop) you can have them synced without having to hook a cable up to them. 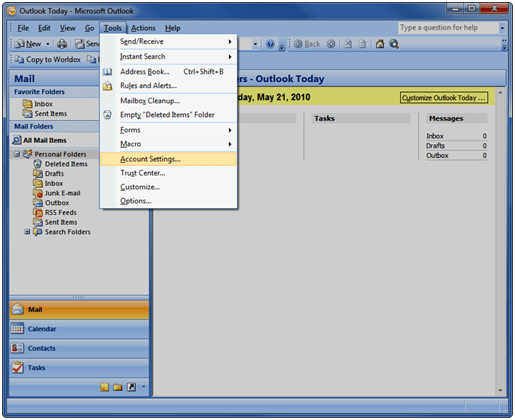 When you delete something on your phone it will also disappear in outlook and vice versa. POP will create duplicates and not sync very easily. Inside the box you will have the name of the account and the type. I know you. You're thinking, "That's it?" Yep that's it.